You are at:Home»Sponsored»Kia Procee’d GT: Can This One Deliver? When Kia first introduced the Cee’d in 2006, they did so with a commitment to making the car available exclusively in Europe. In fact, the name says as much. The Cee’d takes its name from the European Economic Community (EEC) and Kia’s commitment to European design (ED) and manufacturing. Yet despite all of the thought that went into producing a Eurocentric vehicle specifically for drivers who prefer fast, small cars, it didn’t translate into performance that was worthy of its competitors. 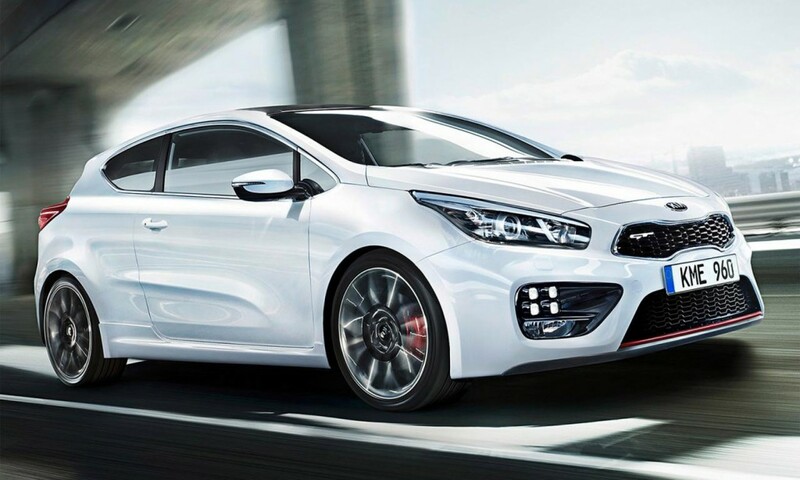 Kia is now hoping the new Cee’d GT also known as the Pro_Cee’d GT changes things. Previous versions of the Cee’d were great on styling and heavy on sporty looks. However, the cars suffered from performance in many ways. For example, Car and Driver Magazine went so far as to call pre-2014 editions of the car ‘average performers’. They did not have the ‘get up and go’ drivers wanted and the chassis and suspension set-up was sluggish at best. The combined package meant the car was not nearly worthy of being a rally car despite looking like one. Kia started working on improving performance with the 2014 model. That model year saw the introduction of a 1.6L turbocharged, direct injected Gamma engine. Car and Driver hailed it as an improvement and a car capable of competing with the Hyundai Veloster. The 201hp engine works well enough with a six-speed manual transmission to achieve 60 mph in just over 7 seconds. Kia even went so far as to work on engine sound in an attempt to make it more throaty and intimidating. Car and Driver was not impressed. Still, the 2014 was several steps above previous models. The Pro_Cee’d GT sold fairly well for the 2014 model year; 2015 is doing okay, too. Kia is hoping to ramp things up with the introduction of the 2016 model after a very impressive showing in Geneva earlier this year. The most impressive feature is Kia’s brand-new three cylinder 1.0 L T-GDI engine and a dual clutch, seven-speed manual transmission. Autocar says the engine and transmission package will be available for all future GTs beginning with the 2016 model year. Kia also has a new trim package it will start offering before this year is out. Autocar‘s Doug Revolta says the trim package will be an option on all three Cee’d models (Hatchback, Pro_Cee’d, and Sportswagon) although we expect most of the action to come by way of the Cee’d GT. The trim package features square-ish daytime running lights, a redesigned bumper and grill, rear LEDs and 17-inch alloy wheels. Hatchback and Sportswagon models will get dual exhaust on the back end. The jury is still out on the 2016 ProCee’d GT. It all comes down to engine performance. Kia is committed to the Cee’d as a Europe-only car targeted at the rally audience. Their new engine will have to live up to its hype in order to impress new buyers. Kia says we can expect 118bhp and 52lbs/ft. of torque. They also say the seven-speed dual clutch transmission will only be available with a 1.6 L engine. We cannot wait to see what the 2016 ProCee’d does.